Pebbles is an unusual biography ever told where esoteric secrets are gently mixed in a street language. It is an extra-ordinary book for the conscious seekers on the path. This pilgrimage is a beautiful lie but worth travelling with sincerity and heightened awareness. Living the attitude of a Zen Master. 'Consciously realize the simplicity of life' is the message of this book. This is not to be read like any other book. It needs to be sipped drop by drop; breathing deeper than normal; slowly and slowly; for the embedded bliss to bliss you out. Pebbles will start mirroring you faceless face, like any consecrated diamonds that cuts through all illusions. Ozin is the spiritual name of Prof. (Dr.) Nitin Arora. Ozin means Ozone for the Inner-self. The name was given to him by his Guru in a conscious dream. 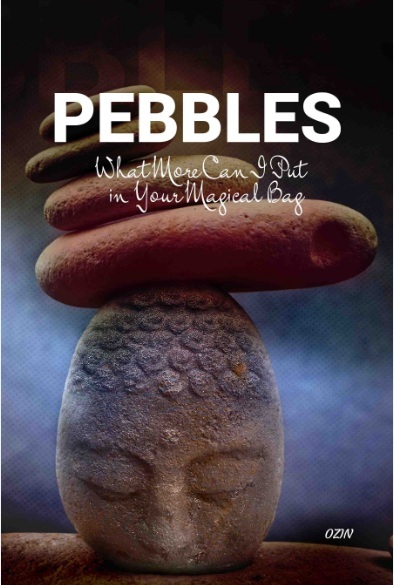 Pebbles is his debut book, but he says it to be a 100% work of his Guru who guided and dictated to him intuitively. He is currently a Professor of Management at Amity International Business School, Amity University (AUUP), Noida, India. He has taught in Indian, Middle East & American Business Schools for 16 years. An interested teacher, spontaneous thinker, researcher, a startup enthusiast, and above all a creative soul. He stays with his parents, wife and two lovely daughters Kanisha and Anaisha.